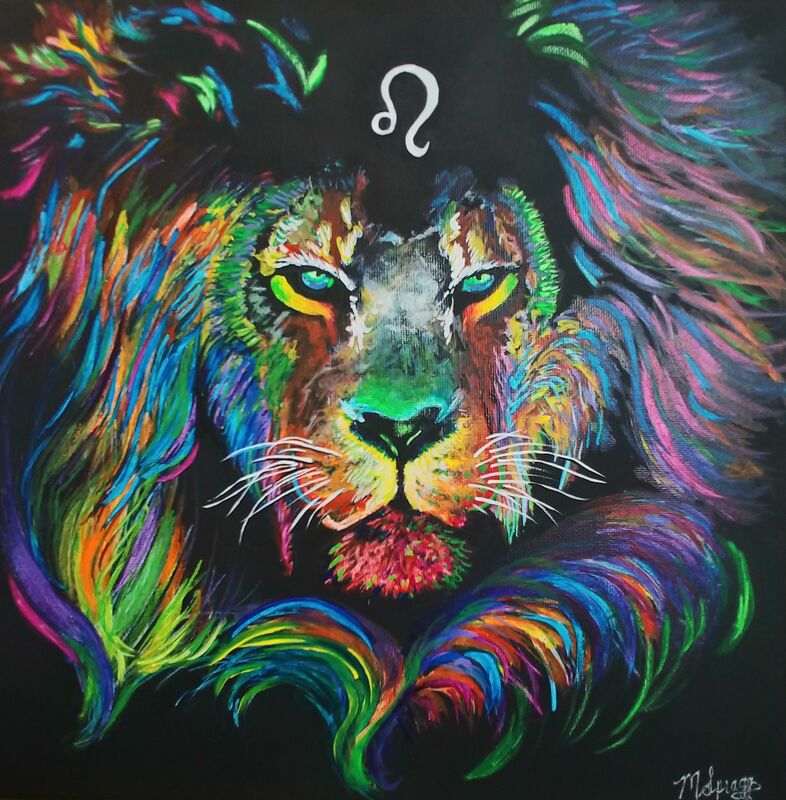 Leo, Acrylic on Canvas Painting...Playing with color! Do you ever feel the need to break free? I think we all have our own cages to escape from. Each of us has our own limitations - both perceived and real. But what does that even mean?? I envy artists that just go with the flow and have always wished I could be more creative! If only I could be as brave as those that just create for the joy of it. Too many years have been lost. There is so much time to make up for. Such a waste. I hope I have time left to make up for it. I am ready to trust myself though.....I am ready to loosen up and stop thinking so much. I now allow myself to play - to explore, to grow. I am finally free to create garbage! Go out and create freely! This is beautiful. Please tell a bit about how you made it. I love the bright colors on black background. Thanks! I just got my new camera in the mail today and am planning on filming some of my painting and will share!